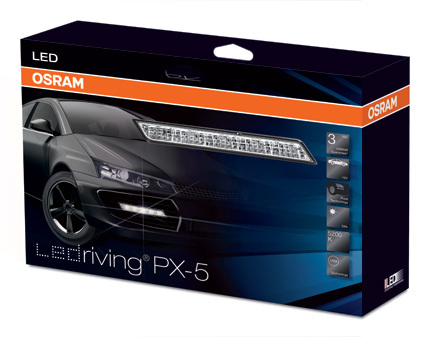 The LEDriving® PX-5 DRL kit provides excellent intensity and attractive design with a five dotted diode effect. This is achieved using five OSRAM OSLON LEDs. The LEDriving® PX-5 kit can only be used for a daytime running light application only.